This casual dress is simply elegant and suitable from day to evening. 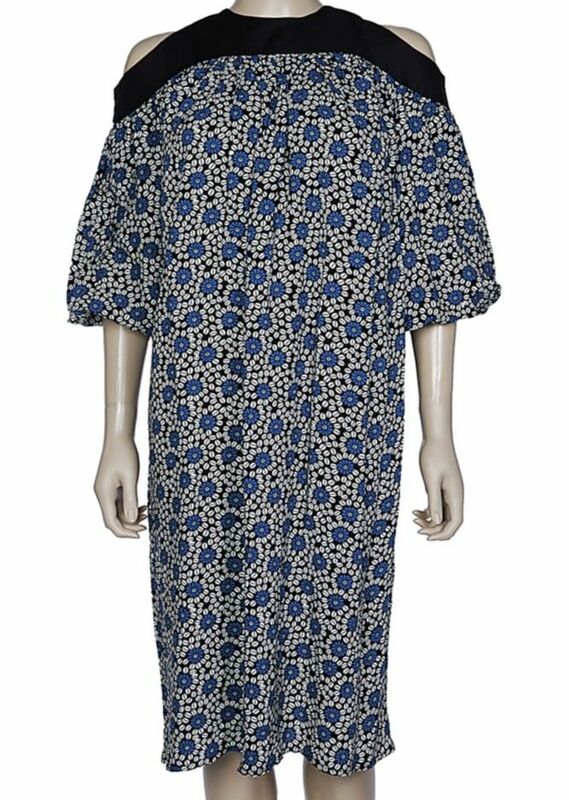 Lenght of dress from top to hem is 43", cut-out puffy sleeves with elasticated hem measures 15" in lenght, dress is not lined, black background with blue print. Burst measures approximately 38".